Memorial Sloan Kettering has created a new multidisciplinary research center that promises to shed light on the role that microbes and the body’s inflammatory and immunological responses to them play in the development of cancer. Experts estimate that up to 30 percent of all cancers result from infection with a microbe, such as a virus or bacterium, or from the inflammation caused by an infection. Additionally, infection is one of the leading complications for patients undergoing cancer treatment. Memorial Sloan Kettering has created a new multidisciplinary research center that promises to shed light on the role that microbes and the body’s inflammatory and immunological responses to them play in the development of cancer. Established in January 2010 with funding from The Tow Foundation, the Lucille Castori Center for Microbes, Inflammation, and Cancer unites researchers in the areas of molecular biology, immunology, computational biology, and microbiology and members of the Infectious Diseases and clinical Microbiology Services in Memorial Hospital. “Although there were already many investigators at Memorial Sloan Kettering who were focusing on various aspects of microbial infections, bringing these investigators together and creating new facilities to help them advance their research really made sense,” explained Eric G. Pamer, who is leading the Castori Center. Dr. Pamer is also Chief of the Infectious Diseases Service and a researcher in the Sloan Kettering Institute’s Immunology Program. “Memorial Sloan Kettering is uniquely positioned to investigate these types of issues,” he said. The Castori Center will promote research in the development of technologies to examine the causes of infections in patients, the characterization of infections associated with cancer treatment and hospitalization, the study of how inflammation can promote the development of cancer, and the study of the relationships between specific microbes and the development or progression of cancer. Besides Dr. Pamer, whose research is focused on how immune cells called T cells respond to infections, other members of the Castori Center include investigators Michael S. Glickman, a physician-scientist who studies the interaction between bacterial pathogens and host cells; Alexander Y. Rudensky, an immunologist who studies immune responses to microbial infections in the intestines; Stewart Shuman, a molecular biologist who is focusing on the mechanisms of viral infection; and Joao Xavier, a computational biologist who is using mathematical models to study how different types of bacteria compete with each other. Two faculty members from the Infectious Diseases Service and the Clinical Microbiology Laboratory in Memorial Hospital, Mini Kamboj and Esther Babady, will collaborate to identify infectious microbes in patients undergoing cancer treatment, including using high-throughput methods (which allow the simultaneous study of thousands of different microbes in patient samples) to better characterize infections. The Castori Center will take advantage of two existing facilities, the Genomics Core Laboratory and the Bioinformatics Core Laboratory, to develop leading-edge technologies for studying microbes and characterizing complex microbial populations in the clinical setting. A new laboratory, to be called the Molecular Microbiology Core Facility, that will provide expertise and resources to clinical, laboratory, and translational investigators is currently being developed as well. 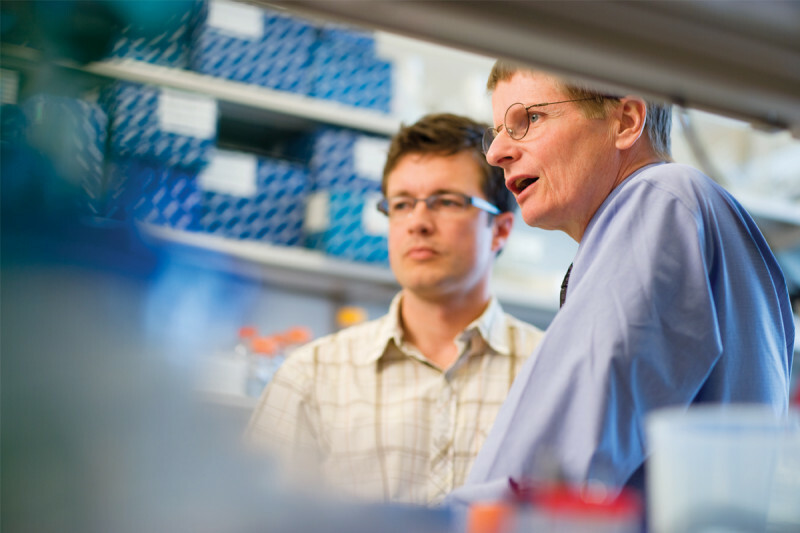 In addition to facilitating research among established investigators and clinicians at Memorial Sloan Kettering and offering funding for specific projects, the Castori Center will support the work of the next generation of investigators interested in the field by providing grants for clinical and laboratory-based fellows to extend their research and training. Members of the center are also planning to organize workshops, symposia, and annual retreats. Establishment of the Lucille Castori Center for Microbes, Inflammation, and Cancer and the new Microbiology Core Facility was made possible with a $5 million grant from The Tow Foundation, which underwrites groundbreaking medical research, the performing arts, and higher education, in addition to providing support for vulnerable families and juvenile justice system reform. The new center is named in honor of Lucille Castori, the sister of Claire Tow.